If you're a travel agent and you make a booking on our website for your clients we will pay a 10% commission on the total booking value. 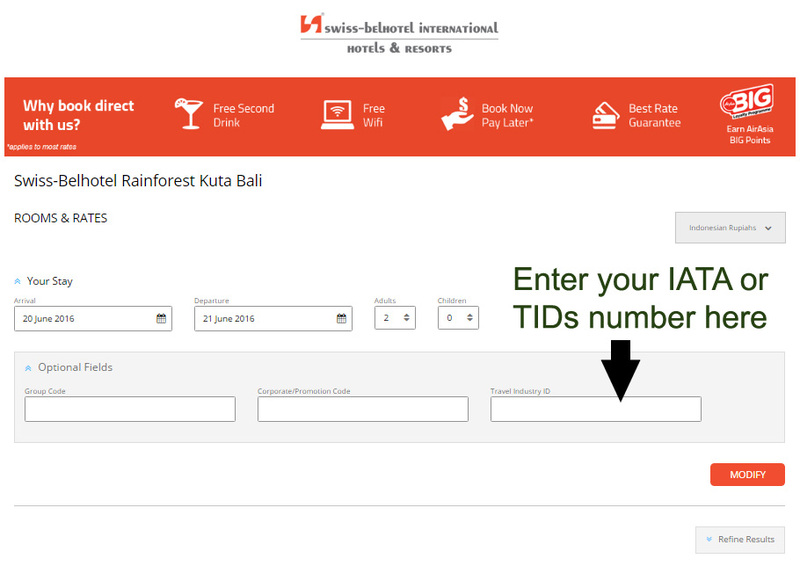 To ensure your commission is linked to your travel agency simply enter your IATA or TIDs number into the Travel Agent ID box on our online booking engine. Click here to find the lists of Swiss-Belhotel International Hotels & Resorts GDS Chain code.